We just announced the ONE BILLIONTH PHOTO edited with Picnik! Who knew back in Feb ’07 when we rolled out the baby beta of our photo editor that it would grow so fast? 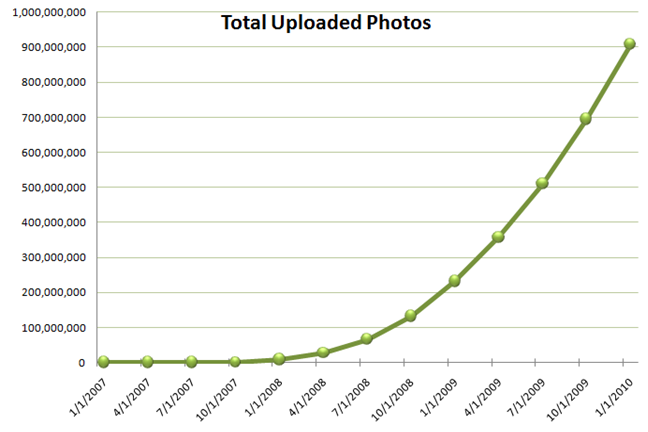 Here’s a handy dandy chart to help you appreciate Picnik’s incredible rate of growth. Yep, I couldn’t be prouder of what our team has accomplished.